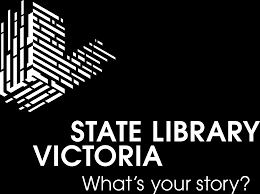 State Library Victoria (SLV) has opened the first of its renovated spaces as part of its $88.1 million ‘Vision 2020’ redevelopment. The new spaces include two new reading rooms, a dedicated events venue, and a new lounge and meeting space which also houses a larger Readings bookshop and a new café. Two new entrances, from Russell Street and La Trobe Street, will give visitors access to the redeveloped sites while the Swanston Street entrance and ground floor remain closed for further construction. As previously reported by Books+Publishing, the redevelopment will increase public space at the library by 40% when construction concludes in 2020. ‘The Library is thrilled to open the first of its transformed spaces, which feature world-class design and allow us to reimagine what a library can be,’ said Library Board of Victoria president John Wylie. ‘Visitors are at the heart of everything the Library does and we can’t wait to see people using these magnificent new Library facilities, whether they are researching the collection, collaborating with peers, browsing Readings bookshop or meeting friends for coffee,’ said Wylie. Creative industries minister Martin Foley said that the project, now at its halfway point, will ensure that the State Library continues to be a welcoming and inspiring place for all Victorians. ‘State Library Victoria is responding to the needs of the community by opening up more of this beautiful, iconic building to the public—providing additional reading rooms, public spaces and function capacity,’ he said. The Victorian government funded $60.4 million of the total $88.1 million for the project, with the remainder raised through philanthropic support.